Today marks the 70th anniversary of the end of WWII. One year ago my friend Sonia Zhuravlyova and I travelled to Germany, in Salzbergen, to meet Max Hentschel, an ex prisoner of war who helped paint the post-war prefabs on the Excalibur Estate in Catford just after they were erected by other German and Italian prisoners of war in June 1946. At the same time Eddie O’Mahony was allocated a prefab on the estate for him, his wife and their two young sons. 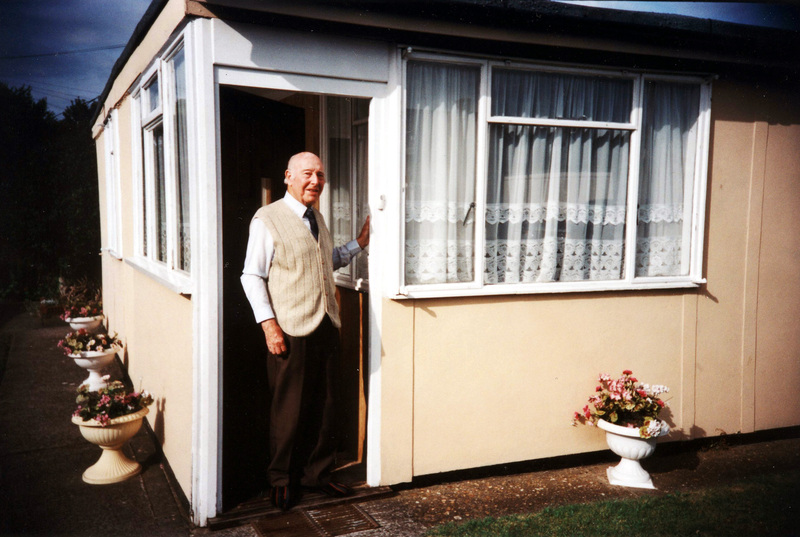 Eddie was the third resident to arrive on the Excalibur Estate and immediately adored his new home. The two men never met in 1946 but there are huge chances they bumped into each other on the estate! 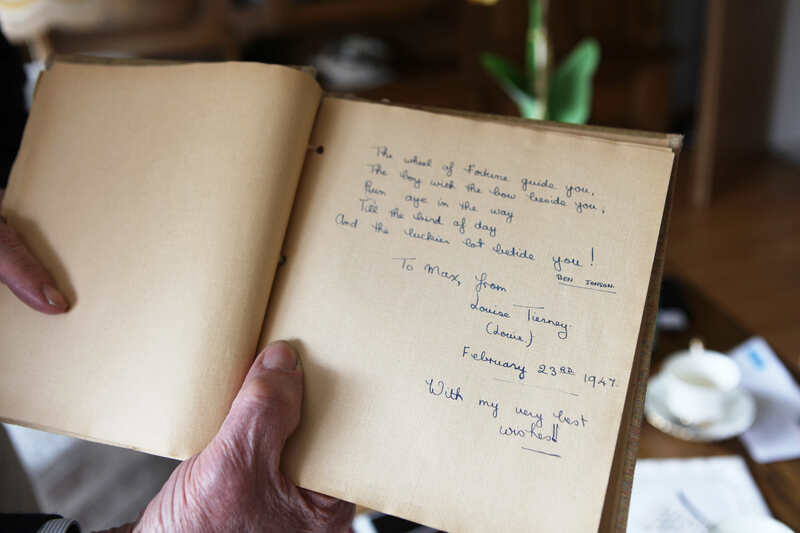 Max only returned to Germany in 1948 with a wonderful book of memories given by the Redcross where people he met during his time as a prisoner wrote notes about him. Most of them are touching, moving and tainted with very British humour. 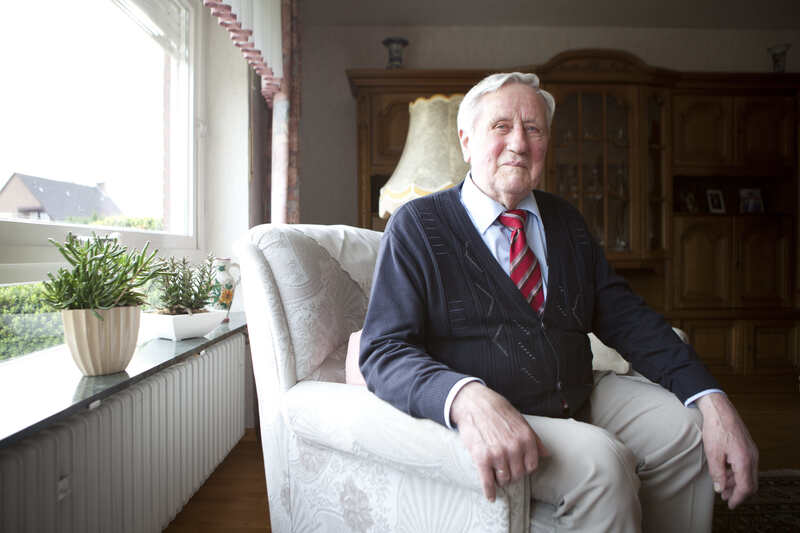 A treasure of a time of his life he talks about with lots of emotion: Relieved the war was over but uncertain about the future and not knowing what happened to his loved ones, his brothes who went to the Russian front. Sonia came back with this lovely piece for the Guardian. 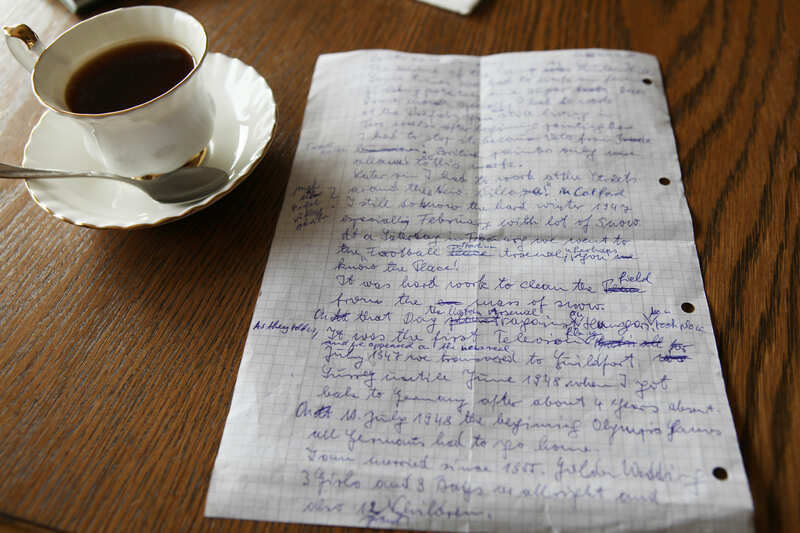 I came back with images and hours of video, and of course the memory of an unusual weekend: a remarkable and moving lesson of history and humanity.